Hang around web writing circles for any length of time, and the inevitable “write for search engines or write for people” debate comes up. It’s a bit strange, really. Last time I checked, it’s people who use search engines, not some other life form. So you’re always writing for people. Obviously, the debate stems from the fact that search engines are powered by computer algorithms. But as search engines have gotten smarter, writing that pleases people and satisfies spiders is not that far apart, if at all. Let’s look at four factors that work well for SEO and see how well they cater to the needs of people. As we saw in Does SEO Copywriting Still Matter?, link attraction is the biggest aspect of today’s practice of search engine optimization. Google looks at the links pointing at your domain, and those pointing at particular pages, as votes of legitimacy. Taking it a step further, Google also takes into account the words people use when linking to you (anchor text) as a trusted signal of keyword relevance. While it’s still possible to buy links (just don’t get caught), there’s no way to “trick” someone into linking to you. People link because there’s something in it for them in some way, and because something about your content compels them to do it. The smartest SEOs create content that’s remarkable because it’s valuable, controversial, funny, opinionated, engaging, enlightened, etc. Because Google has tons of information thanks to AdWords, AdSense, Analytics, Google Reader, Tool Bar and Website Optimizer, some see search algorithms moving away from links and more to site usage data (how people actually interact with content). Whether that’s the case or not, content that people find compelling will continue to constitute the biggest factor in search engine optimization. One smart strategy for content marketing and anyone building an authority site is to create valuable content resources related to the most important topics you discuss. I call this cornerstone content, because it’s the fundamental information your site is built on. This is a strong SEO strategy because I’m aggregating a bunch of content on one search optimized page. This directs the majority of links to that page instead of the individual parts, allows for easy cross-linking in future content, and prompts social bookmarking and sharing due to the scope of the resource. But the real reason it works is because it’s people friendly. Given the usual scattered backward chronological nature of a blog, the page is highly usable and useful as a resource for people new to copywriting. Whether Google ever moves to usage data over links remains to be seen. But one song remains the same – Google must match up what a page is about with what people are searching for. Which means your words must match up with the way the people you hope to reach most like to talk about it. Keyword research and the use of keyword phrases within content is the one area where some web writers and bloggers seem to push back, and I’ve never understood it. Anyone who’s not interested in understanding and mirroring the language used by their intended audience is simply not interested in being an effective communicator, search engine traffic or not. As I’ve said, telling search engines that what you’re talking about is the same as what people are looking for is what SEO really is. But even if search engines didn’t deliver traffic at all, the ability to know and mirror the language of the audience is an amazing gift we’ve been given thanks to search data. Why not use it when people respond well to it? What? Good SEO makes content more readable? Surely I’ve lost it on this one. It’s true. When you implement the whole range of SEO best practices, you rank well with exceptionally reader-friendly content (and that’s why it got links in the first place). Keyword stuffing is not what Google wants. And neither do people. Let me make a confession. I used this new WordPress search optimization service to evaluate the content landing pages that matter most to me, and I was shocked by what I discovered. I had gone a tad overboard with my keyword frequency. Not by much, but a tad. That’s right, Mister “write-for-people-first” had not been getting it completely right. I’m not embarrassed to admit that mistake if it helps you. So there. When you approach SEO copywriting in a logical, informed fashion, your content isn’t keyword stuffed. It’s natural, and compelling, and artful. About the Author: Brian Clark is founder of Copyblogger and CEO of Unglued Media. Get more from Brian on Twitter. Next article: Is Reading Blog Posts Worth Your Time? As you show, keywords can be used to enhance an article by talking the same language as the readers. And, as long as an article isn’t traffic bait, increased search engine traffic only helps with targeted, relevant organic visitors. If you think about it, the “endgame” for any search engine is a computer algorithm that can understand pages in exactly the same way a person would. So the better search technology gets, the more writing “for people” and writing “for search engines” become synonymous. I love your point about keyword research, Brian. I think a lot of people think of keywords as something spammy or manipulative. But while keyword stuffing is definitely shady, choosing your words to resonate with your target audience is good for everyone. Full disclosure: I work at an SEO firm. I know I’m supposed to keep search engines in mind when I write, but I much prefer thinking about and writing for people. Besides, I’ve noticed search engines never leave comments on my blog! It’s so funny when I talk to traditional print/ad writers their immediately turned off by SEO. They instantly think that creativity is out the window because SEO corners them into using specific phrases. ps. If your a creative writer, don’t complain when you have to be creative. SEO is really just descriptive, thorough, compelling content. If you take the time to explain your products/services in detail, you’ll achieve success for your readers as well as the search engines. Love this! We have been telling clients this for some time now. It’s funny how many can miss this connection. Great post Brian! What should a SEO copywriter expect from a search engine marketing consultant as a package to write highly relevant content for a web page, article or blog. When mapping out keywords to content what is the best way to approach it as a copywriter? What about when there IS a discrepancy between what works for search engines and what is natural for readers? For example, people may search for “voluble in a sentence” or “auspicious in a sentence” if they are looking for something similar to what is on my website. But I not going to title every post “_____ in a sentence.” That’s boring and lame. Great post! We find also that content people find to be true, also resonates well: http://bit.ly/c5BUM7 Be transparent in your content development. If you *weren’t* Copyblogger with a gazillion backlinks (and therefore had no hope of ranking for such broad terms), would you still use that strategy? …or would you stick exclusively with the longer-tail-targeted sidebar links like you have on the right? As always, a great post, & an excellent resource for those of us running web businesses. We’ve always struggled to work out the best balance of writing for people vs search engines, so thanks for some good tips. Can’t wait to check out the keyword tool you mentioned. Well done Brian. It is, indeed, a skill to write good content that will keep people engaged whilst ensuring the relevancy to search engines to be picked up for valuable traffic. You give great lessons in both. I’m a real proponent of the “writing for both” concept. You may have the most amazing content on the planet, but if people can’t find you – who are you really writing for? When you write exclusively for search engines you run the risk of your techniques becoming outmoded almost as soon as they’re published. However, when you write for your audience, it will always remain relevant. I think a lot of people have needlessly undermined their copy to lever in SEO techniques that have little or no positive effect for the page’s ranking. Better to have something engaging and readable, than something that might deliver one extra uninterested visitor to your site. A great little summary (yours, not mine) and something we can all learn by. Using keyword research I learned that when my audience is searching for my content, they use the phrase “career advice” instead of “career tips”. That was huge for me because it’s in my tagline. I’ve always been surprised when writers/clients still make distinctions between SEO and content/copywriting. When you’re writing in the reader’s language you’re automatically writing solid SEO copy. Develop the core vocabulary and its variants, do the logical groupings, thought and line extensions – and bam, there you are serving both the reader and the Google appetite for relevant content. I think one of the biggest problems is the weight that Google places on the title tag of a page — coupled with the fact that the title tag is displayed in the SERP’s. Because of this many times you have to choose between a “catchy”, interesting title and a keyword stuffed title. It’s never made much sense to me to put so much weight on the title tag — its easily manipulated. I just found your blog and I love your content already. This was a great article, balancing out the best of both worlds in terms of writing for the people vs. writing for SEO. This is why honing copywriting skills for the web is valuable. Sharp writing is thought-out, planned, focused and informative AND contains a natural keyword density appropriate to the article. I like Oleg’s PaSEO acronym and agree that search engines are becoming smarter. I have to admit this post convicts me on spending more time thinking about what the search engines want than what people want. Eventually search engines will better understand what people want so in the meantime I’ll write for people. After all, as smart as search engines may become, they don’t have wallets to purchase what I offer. Great article. I await the day we have a true linguistics parsing search engine that can understand derivations of word choice and tangential meaning. Until then you have to write for people and every so often throw a bone to the search engine because it’s not much smarter than a good golden lab, even though the Goldie is pretty darn smart. Any effective communicator should know their audience. If people are searching for business jargon, then they expect to see business jargon on the site they land on. If they search for more entry level terms, then they don’t want to see jargon! 1) Who do I want to target? 2) What are their expectations (as manifest by their search language)? If I can align the two, then everyone wins. I am going to send this one along to one of my favorite SEO writers. They’ve seen the changes occurring for some time. Oddly, I’ve always seen the issue much like you. It’s really is the same writing, when you pause a minute to write about it. SEO is really just descriptive, thorough, compelling content. If you take the time to explain your products/services in detail, you’ll achieve success for your readers as well as the search engines. I perfectly agree this! This is a great post! I’d much rather write for people than for a robot. The smarter search engines become, the easier it will be to do this. Good post, and yes writing for other does help in search engine optimization if you are getting links. Excellent post Brian. It seems obvious that the search engines will endlessly head in the direction of relevance and a better user experience. One thing that confuses me is the “keyword stuffing” thing. I find it very difficult and unnatural sometimes to avoid repetitions of the keywords. Eg. if my site is about comparing dive watches, it’s almost impossible to not to keep using the keywords watch and watches or dive, diver and diving. That gets frustrating. You’re evil. Now I’m hanging in suspense. Always got to write for people. They are you ultimate audience always write for them first then review the copy for SEO optimisation. Never write just for the search engine your copy won’t read correctly. I think if you first write your heart out and get your point accross there’s nothing wrong with going back and making sure you place akeyword at the beggining and at the end. as long as it is natural. Frequently updated, relevant content. That’s the key. If you have laser-focused content towards a site that is primarily focused around one or two keywords, you can easily knock the socks off people that pay a lot to get their site noticed. This is why blogs are so popular with the search engines. Yes, think the truth and reality. Bloggers who do not understand about SEO will give up, they do not get the sympathy for the reader. Why these myriad false dichotomies with regard to SEO? Are there a lot of passive aggressive SEO pros (my definition of “pro” is flexible here) out there that only feel comfortable shouting behind a keyboard? It’s refreshing to hear that there are no tricks. And it’s the truth. And there’s something great about the fact that those that keep this in mind, live by it and let others know seem to be the ones that are being rewarded by the search gods. I started writing SEO a little over a year ago, and by SEO I mean garbage. Then I actually learned what SEO meant: thorough, descriptive content written in the language of the target market. Let’s say that keyword stuffing wasn’t getting less effective by the minute. It still wouldn’t matter for the bottom line. People need to understand the information on the page and it needs to read well. 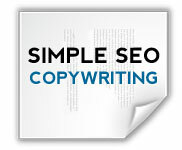 If it’s built around a formula of keywords, then it has little chance of being effective copy. Well put, my friend. SEO too often reminds me of acai berry. Everyone’s selling it, no one knows what it is, and business is brisk. Your comment is funny but true. I just read a prominent blogger say new bloggers just ignore SEO altogether (pretend its a mythical beast). Do you agree? No, not really. It’s fine to be mindful of SEO, and keywords DO matter, but when all that comes at the expense of good content that PEOPLE LIKE, these are futile activities that ultimately lead to failure. There’s a fine line between SEO and good copy. Bad copy will get plenty of bad traffic, while great copy will get no traffic. Great post. You can lure in a lot of traffic with a well optimized, keyword-rich page. But that traffic’s just going to bounce if the page isn’t well-written for the reader. So what are you really achieving? @Ian, that is a truly excellent line, thanks. @Sonia- I wrote it just for you 😉 Feel free to spread it around. There’s no doubt you write for people. As you said, search engines are used by people. Regardless of the algorithms search engines will become even more accurate and relevant…may I introduce Web 3.0. Anyways, as always, content is King. Thanks for making me feel better about writing naturally. I could never quite get my head wrapped around writing for search engines anyway. This question of writing for people vs. writing for SEO keeps on coming up. I feel as though we seem to forget that we are writing for people above all. Your post really emphasizes the importance of good online writing! I have had the same mental fight as you when it comes to writing for the search engines verses for people. Then in hit me one day. I realized I only clicked on a link from someone’s comment on a blog if they provided relevant content. Wow! What a novel idea, right? In the end writing like you’re giving freely to a friend and not worrying about trying to repeat a certain phrase (keyword) a predetermined number of times is the best. Quality verses quantity really is the best practice.